Home / Korea lifestyle / news and current events / "Eat Yeot" - What Does It Mean in Korea? "Eat Yeot" - What Does It Mean in Korea? This is the Yeot Candy. It is just like any regular candies you can see in the stores. 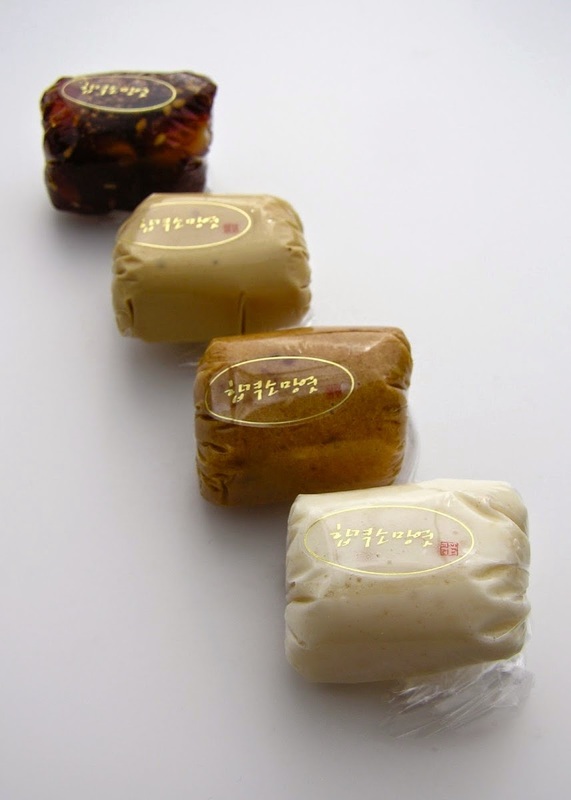 It is a candy made with steamed glutinous rice, corn and sweet potatoes. And I think it is the most controversial candy now in the world, or at least in Korea, as of writing this article. On the night of June 29, 2014, South Korean Men's Soccer Team went home to Korea after the failed attempt to win in the FIFA World Cup in Brazil. Korea has faced series of defeat from the competing countries ending up last among four nations in Group H. Some fans of the soccer team were not happy with the outcome of the competition and they have taken it against the players for not doing their best and for not putting the best men to play the game. So during the arrival of the team, angry fans showed up and started throwing Yeot Candies while shouting a phrase translated as "EAT YEOT!!!!" If you are not Korean, you may interpret the throwing of Yeot Candies as a sweet welcome since candies always symbolize happiness and sincerity, let alone people asking you to eat it. But for Koreans, throwing a yeot candies and telling people to eat it has a very bad meaning. To "EAT YEOT" is a Korean way of saying "EAT SH*T" or somehow almost equivalent to saying "F*CK". An insult is just an understatement, it is meant to put somebody into shame and to show your hatred towards the person. So what's the story behind this? "Which of the following ingredients can be used instead of yeot oil (엿기름, i.e. barley malt) to make yeot?" Two of the choices were diastase and mu juice. The correct answer should be diastase but people protested that mu juice is also correct. This confusion affects the grade of some examiners and the parents protested in front of government offices holding yeot candies made with mu juice. They were shouting "Eat Yeot!!!" From then on, the phrase conveys a distasteful meaning to Koreans. So next time you see Yeot Candies, you can eat it and keep it to yourself. As much as possible, don't offer it to people especially Koreans and say "Eat Yeot". I don't find it right to put down your team for not winning as not everybody can't win especially since the world cup is a really tough one. Nice to know this Yeot thing, it's like mashed potatoes or nilupak. Thabk you for sharing the info about Yeot, not just eatling typical candy but nutritious too!